SHEARING PINX + AHNA Free in-store at Into the Music! Vancouver spaz-noise punks SHEARING PINX rip it up at Into the Music on Thurs Nov. 12th w/ tourmates Vancouver doom-drone duo AHNA in promotion of SHPX new full length LP “Weaponry”. Bring dough because both groups have a TON of releases, all very affordable and worth picking up! Instrumental, heavy art-prog with man-about-town Craig Boychuk (Head Hits Concrete), Neil Bazan (Breaking Syntax), Alex Litinsky (AM Overcast) and Cam Popham (Under Pressure). Multiple Juno Award winning Stephen Fearing is one of the foremost performing singer-songwriters in Canada. Mixing powerful lyrics, creative arrangements and brilliant guitar playing, Fearing has built up a loyal and dedicated international audience with a wide range of songs - from his 1988 release ‘Out to Sea’, to his last Juno winning album ‘Yellowjacket’. A founding member of Blackie & the Rodeo Kings, Stephen has collaborated with many artists including Shawn Colvin, Richard Thompson, Sarah McLachlan, Tom Wilson, Colin Linden, Margo Timmins and most recently producing “Happy Here” the latest juno-nominated album from Suzie Vinnick. His latest recording, “The Man Who Married Music” is a ‘Best Of’ collection, with tracks handpicked by Fearing, featuring some of the best music he has released over his career as well as two brand new tracks No Dress Rehearsal and The Big East West. PLUS! Don’t miss Stephen when he plays at the West End Cultural Centre on Thursday June 4th - details at the WECC Website. April 18th is International Independent Record Store Day! With vinyl sales up a whopping 60% since 2007, and turntables back in mass production for home use, we couldn’t be happier to be in the business we’re in. So for this year’s Independent Record Store Day we want to do something special. We’re having bands play all day, including HAUNTER, UNTRAINED EYES, KRONSTADT 21, ANGRY DRAGONS, NOVILLERO and LES JUPES - the latter celebrating the release of their new EP “Mathematics”. We’ll also have a special display of local music, some drinks, snacks etc. And we’ll have a new, more vibrant sign for the local section created by local illustrator/animator Leslie Supnet. Also, help us fatten up our local section with more stock! Bring us your CDs and LPs to sell for you! We’re unveiling a new, improved local section on April 18th, but we need your help to do it. To consign your merch to Into the Music, bring it down any day of the week and someone will be able to assist you. Note that we usually take only four or five copies of any one item at any given time. Thanks to our partners Manitoba Film and Music, CKUW 95.9FM and Manitoba Music! Not Animals is a solo project of Christopher Samms’ that has been on-going and was left on hold while focusing on Tigerrr Beat. The live show consists of new wave pop songs with live bass and vocals over a cassette of pre-recorded beats and keyboards. All in-stores are FREE ADMISSION. JUST ADDED! Fellow Face Ian McLagan will be sending a written introduction to be read aloud to the audience before the film! 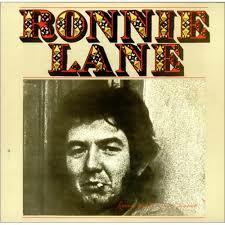 Into The Music will be on hand with the first-ever North American release of Ronnie Lane’s solo material on CD, coming from the Lane estate’s own new label, Lane Signature Sounds. It’s entitled Just For A Moment, and is a 20-track retrospective of Lane’s solo career, 1972-1980. It is bloody essential, I’m telling you. Get ‘em while they last. The Small Faces are my favourite band of all time, so whenever I get a chance to give a nod to one of the boys, I do. In this case, it’s the late Ronnie Lane’s birthday, so come join me for this brilliant musical documentary that tells the story of Ronnie Lane from his heyday with first the Small Faces and then the Faces, through the sixties and seventies, his experiments with a rural life and the touring musical circus that he dubbed ‘The Passing Show’. Finally it charts his latter days once he developed Multiple Sclerosis and moved to the US. Featuring numerous musical clips and interviews with family, friends and colleagues including Eric Clapton, Pete Townshend, Ian McLagan, Kenney Jones, Glyn Johns, Henry McCullough, Joe Ely and many more. Special Thanks to James Mackie, Kent Benjamin and Eagle Rock Entertainment for permission to screen the film. In-Store performances are FREE ADMISSION.